Car supplies and car parts stores are profitable businesses. Yet, in case you want to boost your business and find new clients you have to be online. It is important because many customers start a search for products online. And you have to attract theme and create an atmosphere of trust. To achieve this you need a good website template. 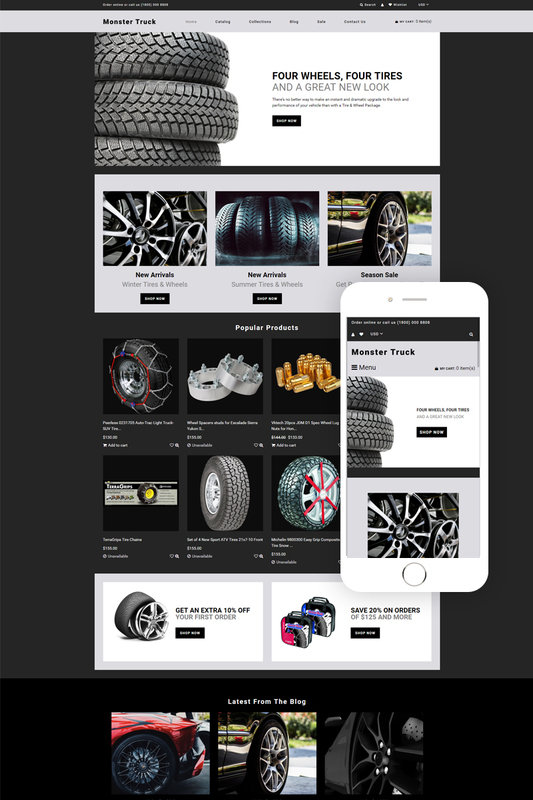 Like Monster Truck Shopify theme. It has a clean, yet eye-catchy design and includes many useful design effects and features. 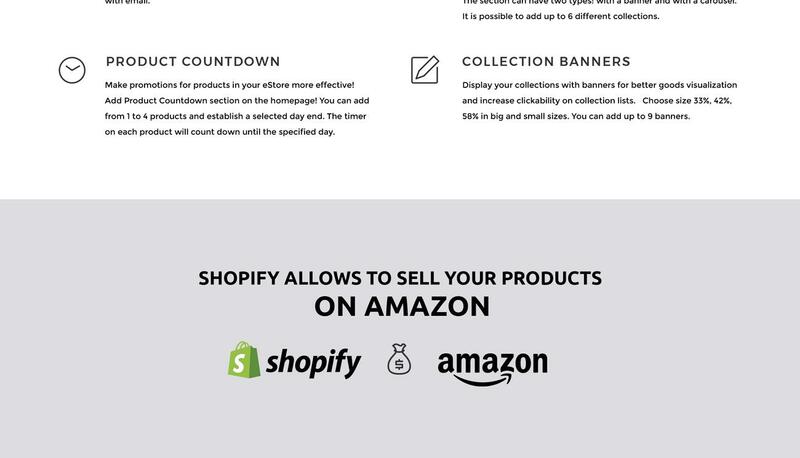 Moreover, it has full Shopify e-commerce plugin pack and works perfectly as an online store. It has many pre-built pages and you can fill them with content and products to provide customers with intuitive navigation. It is a perfect choice for wheel store, car accessories shop, bikes store, and many more stores.